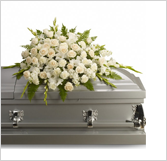 First things first – you are under no obligation to purchase a casket from a funeral home. And why would you want to, when there are lower-cost, better value options available? 24Hour Caskets has helped thousands of people say goodbye to their loved ones respectfully, in style, and for a price that makes sense. We offer an outstanding selection of the best caskets & incredible customer service. Natural wood caskets, steel, laminates & more. Top-of-the-line models, cheap caskets for every budget, and everything in between. Next day delivery is guaranteed. Same-day & weekend delivery is possible in most cases – call for details. We accept all major credit cards, personal checks, money orders, and online payment via PayPal. There’s no sales tax (except on orders from Texas). Do you want a wood or metal casket? This choice does not affect the function of the casket in any way. What is your budget? If you want to spend lavishly on a casket then please do so, but if you have a smaller budget there is also a wide range of options available. Now all your choices are based on personal preference. Consider your loved one’s favorite colors. Think about their personality – reserved or more flamboyant & expressive? Consider their life – some caskets are made specially with veterans in mind, or mothers, or may have unique artwork & embellishments. Think about your loved one and the family & friends left behind and you will be able to find the perfect casket to honor them… that is the only consideration that really matters. The funeral home industry is extremely large and very profitable. There are over 20,000 funeral homes in the United States and collectively the industry generates over $25 billion in annual revenue. Fees for services are extravagant and markups on products are substantial. So just how do funeral homes continue to charge high costs without delivering equivalent value? Three corporations dominate the funeral home industry: SCI, Stewart, and Loewen Group, which together account for about 15% of the funeral business in the United States. Your compassionate neighborhood funeral home could owned by one of these corporate giants – they typically buy small funeral homes and operate them under the previous name, to retain the appearance of a small, family-owned business. This allows the funeral homes to set prices as they see fit, without fear of effective competition. “Don’t you want your mother looking her best when she sees your Dad in Heaven?” – Do not be pressured into spending lavishly on burial clothing – dress your loved one as you see fit, and however makes you most happy. “Of course you want a sealed casket… don’t you?” – All caskets for sale are designed to be sealed, do not be scared into purchasing a casket with expensive features you don’t need. “You don’t need a casket list… let me show you our floor selection.” – Funeral homes rarely put cheap caskets on their showroom floor. Insist on receiving a complete list of all their offerings before viewing models. “This list is just a guideline – let’s talk about our funeral packages.” – Packages often contain a laundry of services & products that you either do not need or could purchase much cheaper elsewhere, including the casket. Having a General Price List allows you to track charges for each item and remove those you do not want. These are just a few of the most common tactics. Be wary, use common sense, and know that your rights as a consumer are protected by law – you are in charge of the funeral, not the funeral home! A casket is a major purchase – the average cost is in the neighborhood of $2000, and some extravagant models top $10,000. Accordingly, you should approach purchasing a casket as you would any other expensive item: do some research, shop around, compare prices, and buy from the vendor that gives you the best price & value. But there are several unique barriers that prevent most people from getting the deal they deserve on a casket purchase. Grief is one of many powerful emotions that buyers must cope with. Spending a lot of money may be used as a measure of love for the departed. There can also be pressure to act quickly. 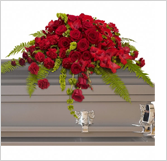 All of these, and more factors, combine to make it easy to overspend on a casket. Try to put grief aside when shopping for a casket. Do not view looking for a deal as a slight against your loved one who has passed away. Use common sense and be diligent, just as you would when making any other major purchase. If you are not facing any exceptional time constraints, use the extra time to shop around and compare prices. Get a price from the funeral home, and see how much lower the prices are at a casket wholesaler. Discount casket dealers offer the exact same caskets as any funeral home does – this applies to ordering online and in person. Same caskets for sale, same quality, same features, but for much better prices. Older models are often offered at even deeper discounts – they are still great caskets, but wholesalers need to make room for new stock. You may also realize solid value from newer models, which might be offered at a discount in order to spur sales. Planning a funeral is a difficult and emotional task, and the burden of arranging details while coping with grief can be exhausting. We cannot relieve the emotional stress you must be feeling, but we can help you keep track of the many details that could otherwise prove overwhelming. Gather personal information needed for the obituary. Decide if the deceased will be buried or cremated. Apply for required documentation, including death certificate and burial permit. Arrange all details of the visitation – location, schedule, guest list. Choose burial outfit, including jewelry & mementos (not necessary for cremation). 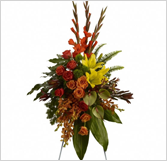 Select music and flower arrangements for the funeral service, and select literature to be read. Arrange for funeral transportation (funeral coach, limousine, clergy car, private transport). Choose the clergy or the officiator. Choose & notify the pallbearers. Select which family member or friend is going to perform the eulogy. Additional speakers should be selected, if necessary. Choose a cemetery (if not already chosen by the deceased). Choose a burial or cremation plot (if not already chosen by the deceased). Submit obituary to the appropriate newspapers or publications. Pre-planning – If the death was anticipated, many or all of these details may have been pre-arranged. A sudden or unexpected death typically requires more planning. Accommodating guests – Out-of-towners will appreciate recommendations for places to stay, particularly locations that are close to the service and reception. If you have time for additional planning and you anticipate a large number of visiting guests, you may want to contact a hotel regarding a discounted group rate. Delegating planning – The details involved in planning a funeral can be overwhelming for just one person. If possible, delegate parts of the planning to a trusted friend or family member, particularly those details that are time or labor-intensive. The most important thing is to stay composed and remember that planning a funeral should be invested with the same care and diligence that you would in any other circumstance that requires communication, organization, and attention to detail.